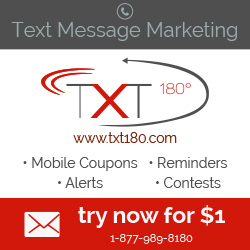 Check this page to find out the latest SMS Autoresponder coupons to save more. *Messages are deducted per subscriber. Example: If you send a message to 50 people, it deducts 50 messages from the account balance. How many texts do I need? The number of times you plan on texting those subscribers in the month. Once you have an idea of those 2 numbers, you can determine how many texts you need. For example, if you plan on having 100 subscribers in your database and want to send a text message once per week to them, you would need about 400 messages per month (100 subscribers x 4 times per month = 400 text messages). In this example, you would need the 500 message per month plan! *Additional Message Bundles Available – Bulk pricing available at 50,000 msgs. *Additional messages never expire and remain on your account until they are all utilized. 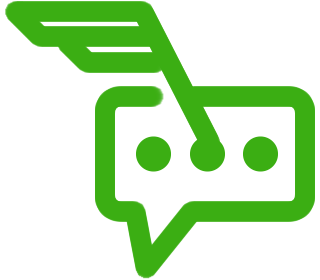 Every month your messages will be deducted from your monthly recurring messages first and if you run out of those messages they will start to deduct from any additional messages you have purchased. *Additional Keywords – Each account comes with one keyword included in the price. Additional keywords can be purchased and the associated costs will be added to the term in which you are signed up for. I am a used auto dealer and am exploring the option of setting up sms responding for people to get info on specific vehicles when they might be visiting the dealership after hours. A sign in the vehicle saying,”For complete info on this truck, text 12345 to 847-555-1212″, and the responding text is the complete vehicle information on that particular unit. i.e. make, model, options, mileage, etc. Looking for some guidance on options on this. Hello Chip, Your example is very close to how our system would work. Only you would choose a keyword at sign up, which can be anything between 4-12 characters, and request they text that to our short code number 77948 for more information. Eg.”For complete info on this truck, text 12345 to 77948″. Then a autoresponder message would come in reply, this message can contain up to 145 characters and would be where you enter the information about the vehicle, or lead them to a website that holds the information.